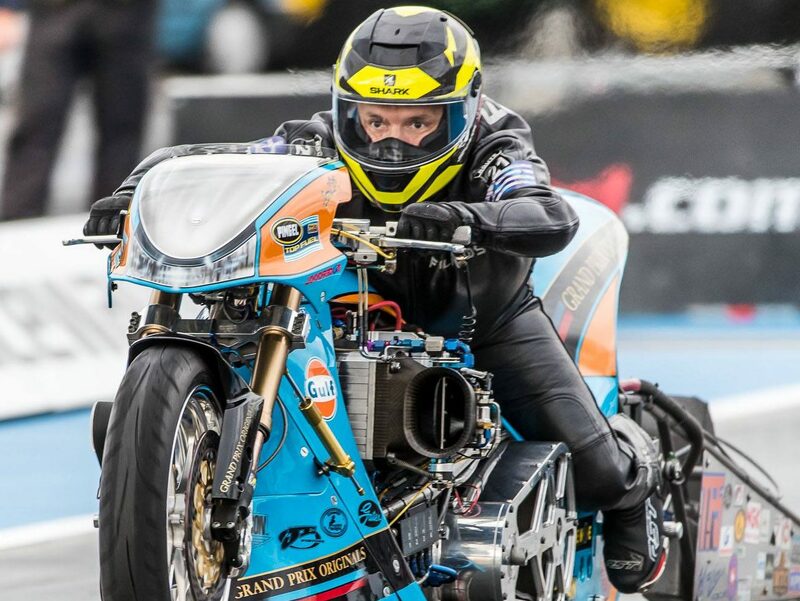 Filippos Papafilippou of Athens, Greece knew he was in for a daunting challenge when he purchased the Gulf Oil-backed Top Fuel Motorcycle of 10-time champion Ian King. 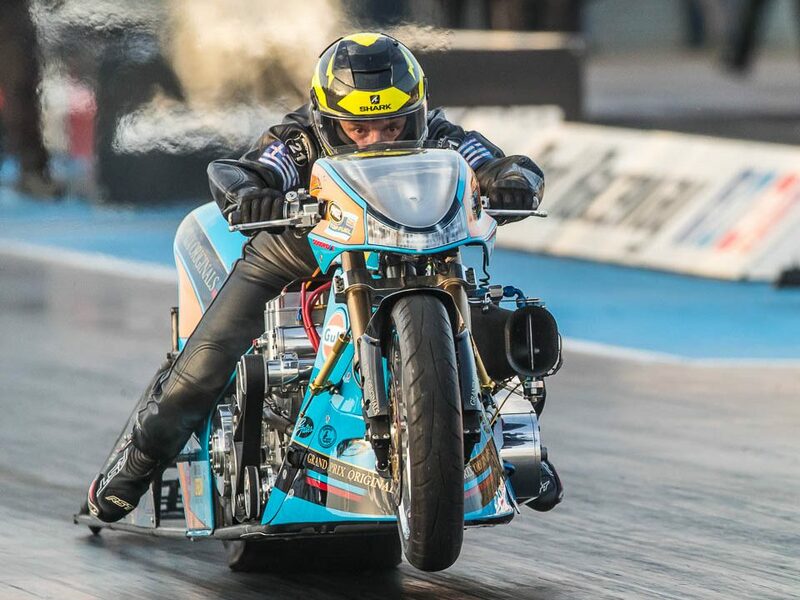 The young and talented rider exceeded all expectations in his first year on the motorcycle by winning a championship and even going quicker than the veteran King had ever been on the bike with a 5.78 at Santa Pod, bettering King’s personal best of 5.81 from 2016. Papafilippou left the final round of the FIM European Championship with the title. The only downfall for Papafilippou was not being able to get stopped after a 5.81 / 240 mph pass. Papafilippou escaped form the motorcycle just before the end of the track. The bike and rider ended up in a nearby field. The good news for “Fast Fil” is he did not sustain any serious injuries in the incident. 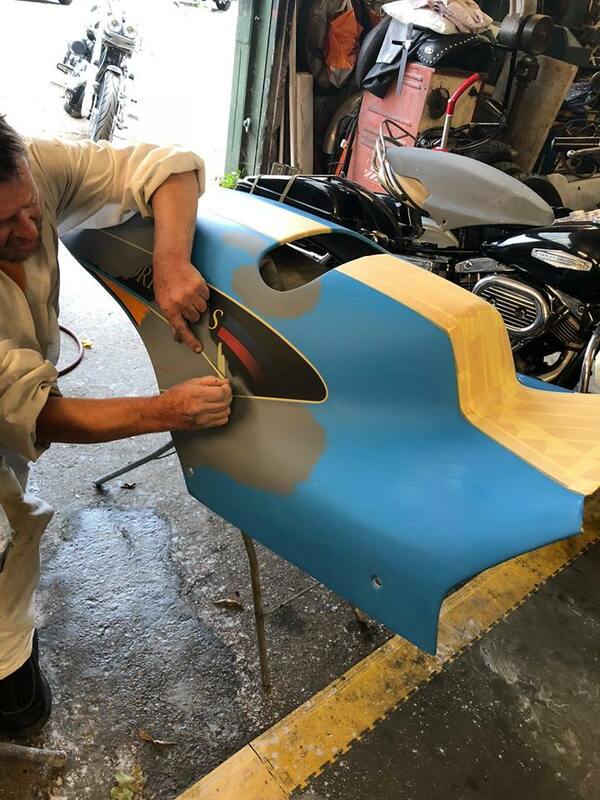 The bike is currently being repaired for its trip to the United States for the Man Cup Finals in Valdosta, Ga., where King will again ride the bike. 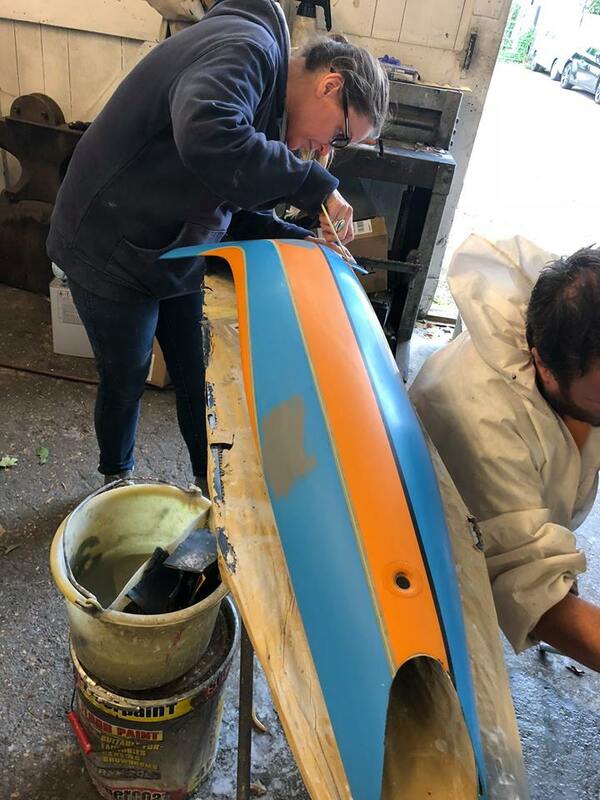 “It was a great season,” Papafilippou said.